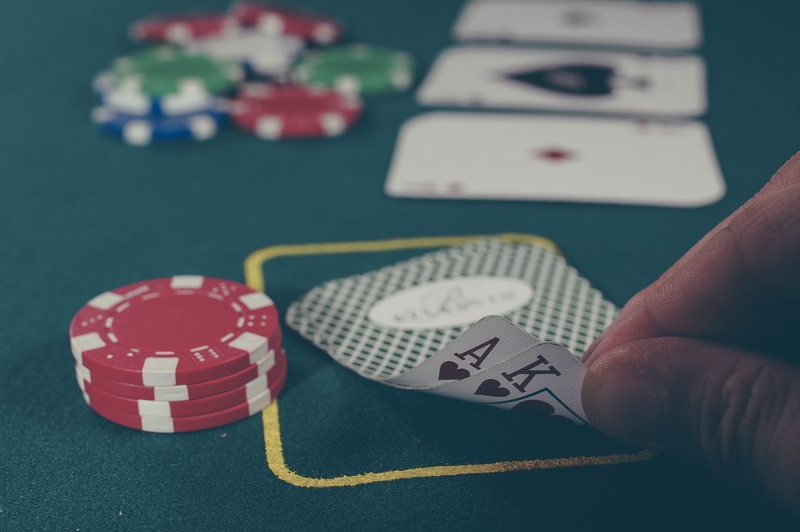 I Admit It, I'm a Gambler at Heart | Passive Income M.D. I have to admit, I’m a gambler at heart, probably more than most physicians who are known to be extremely risk averse. People see me dive into these different investments, businesses, and some say I have guts to do it – that they just couldn’t stomach the risk. It’s funny because a good part of me doesn’t see it as a risk. I consider not making investments, not figuring out ways to produce passive income, and hoping that medicine will always be there to provide for my family as a bigger risk. But again, I know I have a bigger risk tolerance. I was just in Las Vegas last weekend and I see it come out. I’m not a huge gambler but I enjoy playing games, particularly blackjack. I remember one trip to Vegas in particular, I won a good amount early (in my first few hours of the trip). My wife pleaded with me to just quit while I was ahead, but I knew I had three more days in Vegas. What do I do – just not play the rest of the trip? That’s the gambler’s mindset, part of it is you enjoy the chase, and there’s an unfounded optimism of thinking you can make more. I’ve seen this play out in my stock market investing. During the tech boom of the late 1990’s, I was investing what little money I had from odd jobs in college into the stock market. Was I putting it in low-cost index funds? Absolutely not. I was chasing the hottest stocks, trying to ride the wave. And what did I do when they started tanking, I sold them trying to avoid being at the bottom, essentially securing my losses. I focus on investing in income-producing assets. I’m not trying to ride waves of appreciation in stocks or real estate. They’re bonuses but I care about the monthly income I receive and I can adjust my life accordingly. I’ve allocated a tiny portion of my portfolio to individual stocks (everything else in diversified mutual funds) and I’ve made the decision to buy and hold. However, I tend to invest these in fun tech stocks – Apple, Amazon, Facebook, Google. I actually use a financial advisor. Now I know what most people are thinking. Just like you, I’ve seen the numbers how advisor fees can kill your overall return. However, I see them as keeping me from making mistakes because let’s face it, the individual investor underperforms the overall market by ~5%. Honestly physicians with an itchy finger no doubt underperform way worse. Otherwise, there would be tons of doctors ready to retire with humongous portfolios and to be honest, I don’t know many. I also use my financial advisor for overall financial strategy and they help me look at the big picture. Since I like to invest in other assets such as real estate and invest as an angel investor in companies, it’s nice to know there’s someone who I can rely on for solid advice. How well do you know yourself, especially as an investor? Knowing yourself is definitely huge when it comes to maximizing returns. If you can’t keep that itchy finger in check then an advisor is totally worth the costs. The advisor is kinda like the diet coaches big time actors hire to yell at them not to eat and work out. :). Great post. Haha, I kinda need that diet coach as well. I’ll put it on the list. Thanks for stopping by! BTW, just checked out your site, it’s great!